When you opt for a new address or plan to move to a new location, you need to fill up a housing application form. This forms contains all your details including present address, employment details, financial condition and other details. Before you are allowed to board a new house, you may be screened on the basis of certain criteria, in order to ensure that you are eligible to stay there. 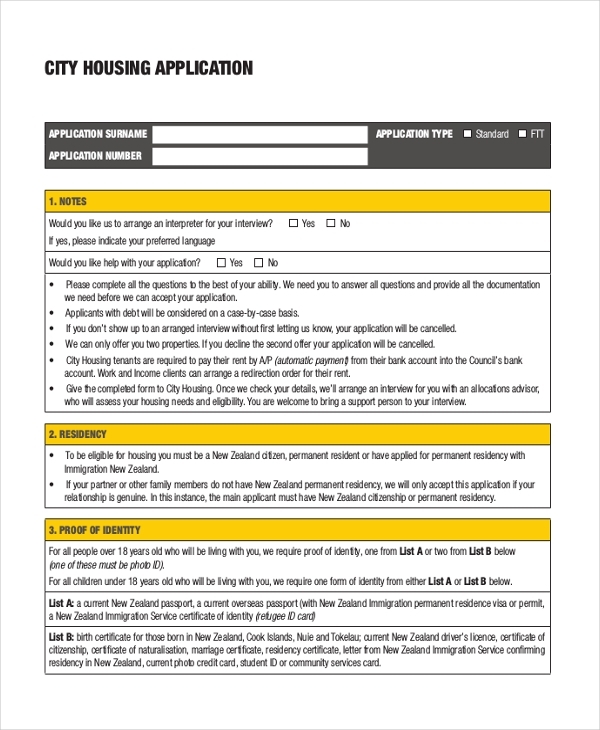 Check out a Housing Application Form sample to get a better understanding of the forms. 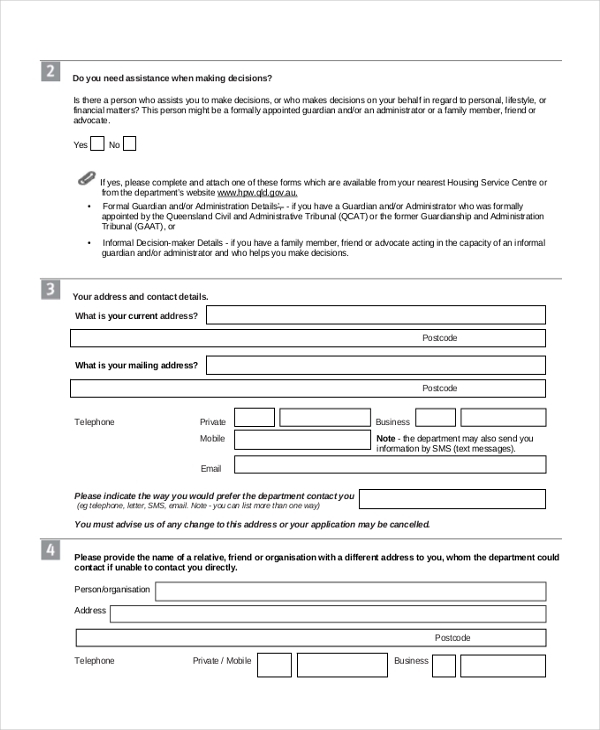 Here are some samples of Application Form examples for you to check out. In case a person has low income, he can fill up this form. It is customised for the purpose and contains relevant heads that enables him to furnish all the required details. In this form, different aspects related to housing are specified. These include disturbances, harassments, relationship with the staff and so on. 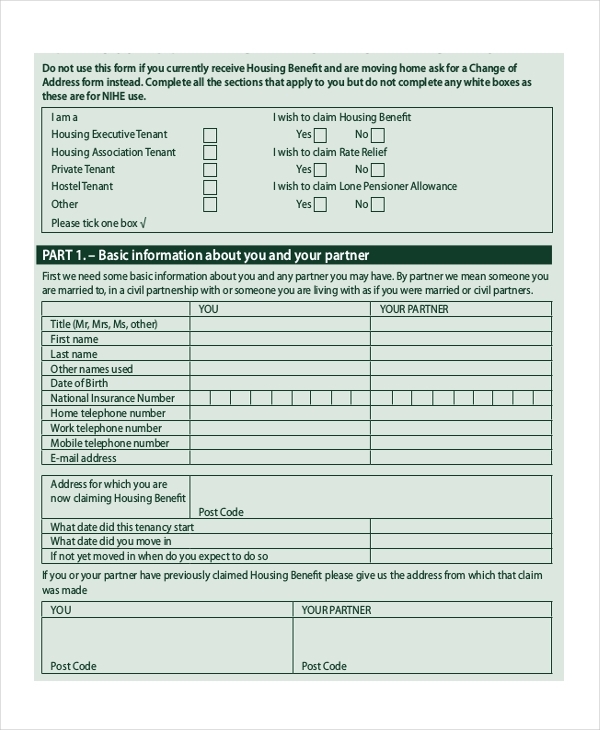 These are used to assess if the individual is eligible for housing. You may also see Sample General Application Forms. 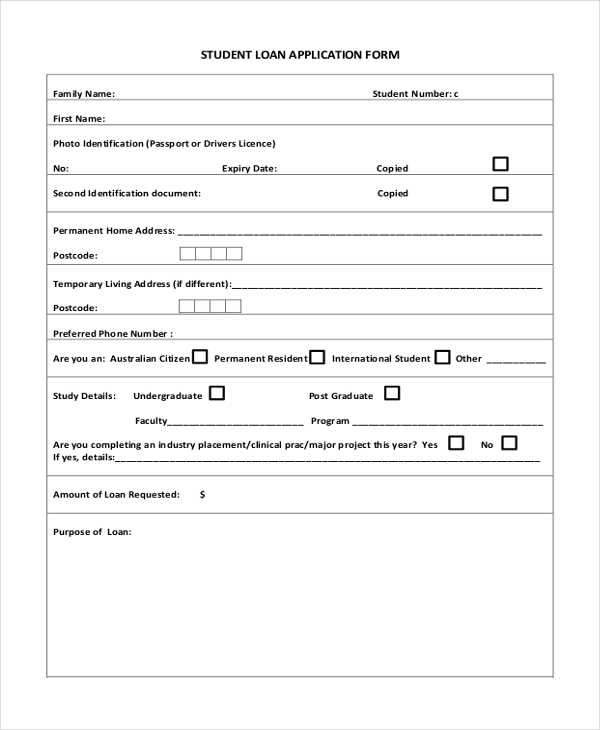 Students who apply for loans can fill up this form. The detailed purpose of the loan is specified in the body of the application. The financial conditions of the applicant are also mentioned here. People requiring subsidy for housing may fill up this form. The form includes income proof, housing details, tenant details and other relevant information. A tabular pattern is used to specify the details of all the occupants of the house. you can also see Sample Target Application Forms. 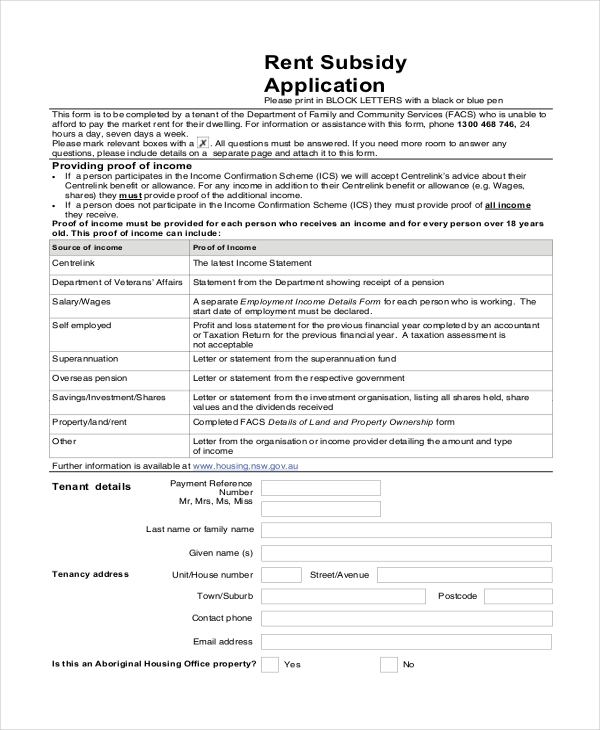 People applying for housing loans need to send an application to the authorities, and this form is customised for the purpose. It lists the loan particulars, borrower’s information and other details. The template has been designed for the department of housing application. The relevant information is furnished in separate sections and the name of the department is stated at the top. 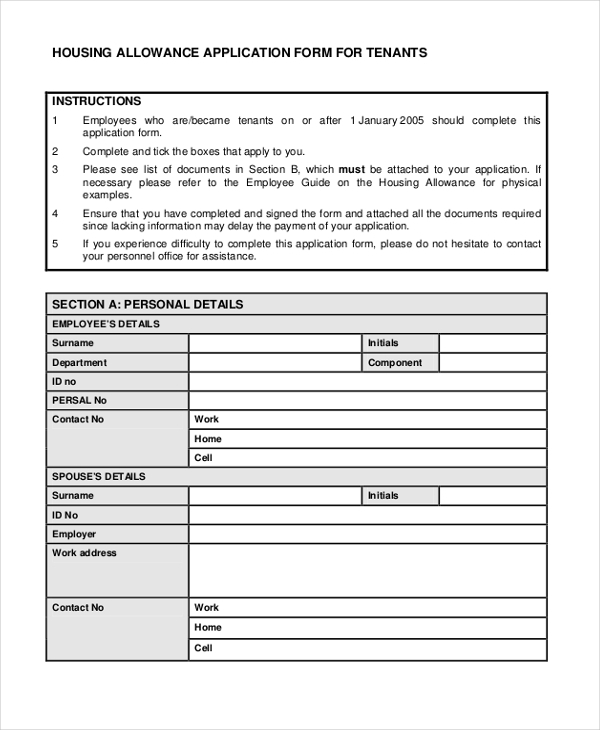 You may also see Sample Work Application Forms. Tenants seeking homes need to fill up these forms. Different sections are used to include the personal details, occupational details, cycle for the payment of rents and other information. In case you need Apartment Application Forms for residing in a city, you can fill up this form. It lists all the personal and income details of a person and has a formal look. The forms are extremely beneficial when people seek a new residence. These are designed especially for the tenants, who shift from one location to another. The organised format of presenting the information in these forms ensure that they can furnish all the data required to make them eligible for the purpose. With our these forms, some information may be left out, causing problems in future. The income details, number of family members, payment of rent and other details are specified in these templates. You can also see Sample Volunteer Application Forms. 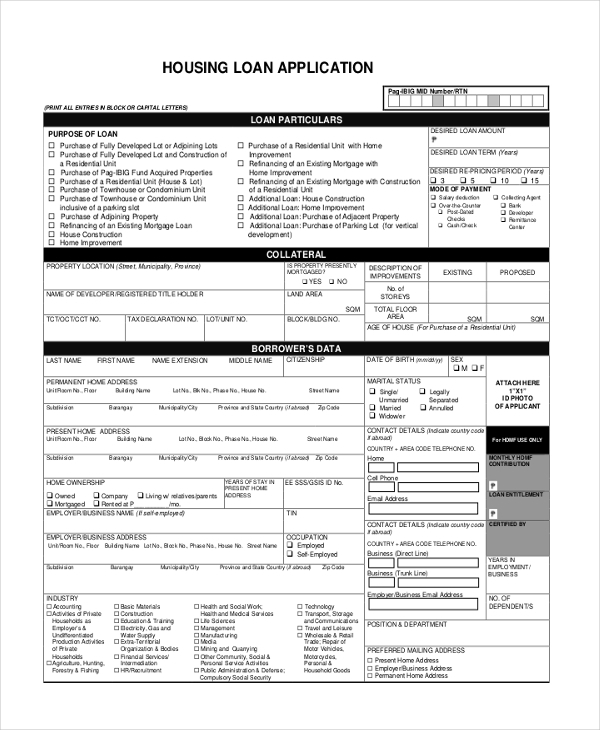 If you are looking out for a new residence, you can fill up one of these forms and submit it to the landlord. The concerned person gets all your personal details, professional details and financial status. Based on these aspects, the rents are fixed. If you have a low income, you may use the low-income forms. In case you are a student, looking for a loan, you can fil up the forms customised for the purpose. Make sure that you make the right choice of forms, as each of the categories are dedicated for a specific purpose. You may also see Sample Tenant Application Forms. Different types of housing forms have their specified format and style of presentation. You can avail the forms from the website. 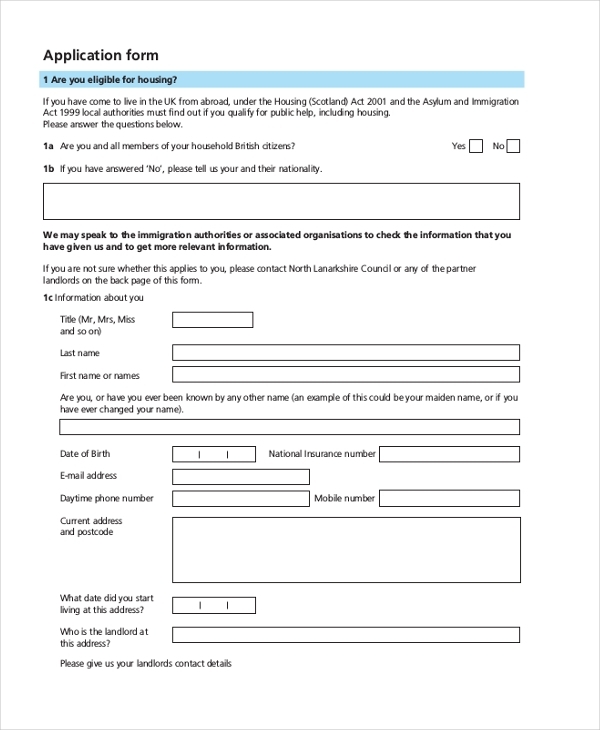 You may also need Housing Benefit Forms and these are available too. Make sure that you use customised forms, so that all the details can be furnished in the documents.